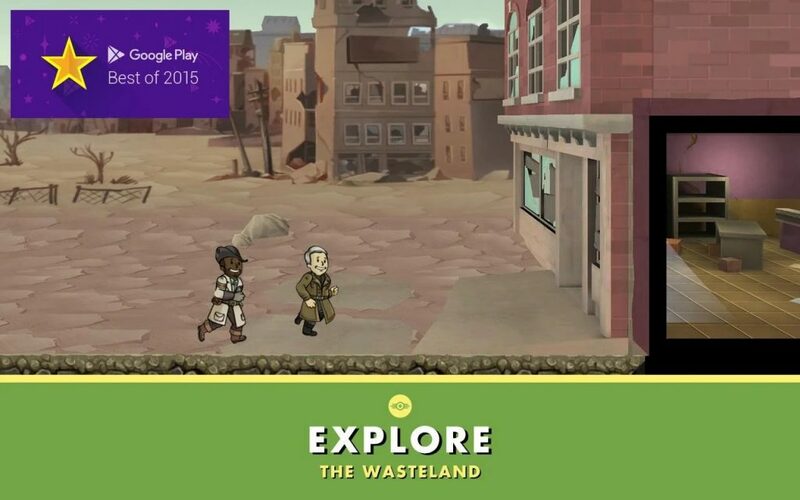 Fallout Shelter is a free-to-play simulation game for Android, iOS, Windows and Xbox One devices. The game was released by Bethesda Game Studios in 2015, with the help of Behavior Interactive in its development. 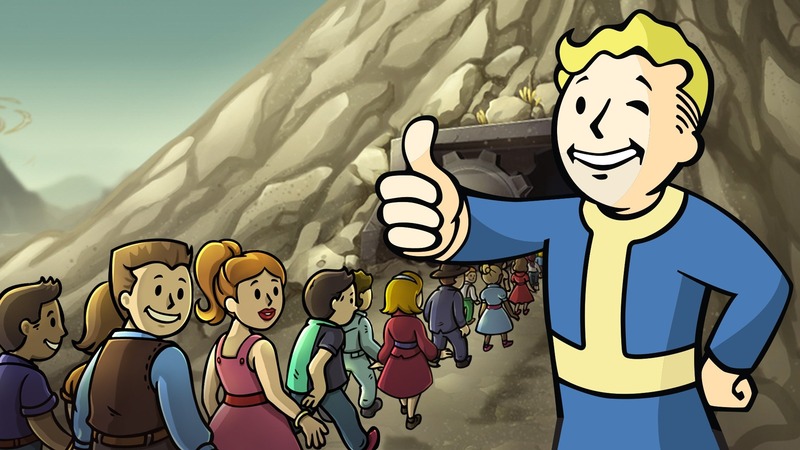 The game’s appeal comes from the Fallout action game in the context of the apocalyptic world, where humans are finding ways to survive after the nuclear bomb disaster. Since it launches, the game has quickly gained popularity among players and critics. It’s no surprise that the game has received many great awards including the Google Play Best of 2015, Mobile Game of the Year – 2016 DICE Awards, and Winner 2015 Golden Joystick Best Handheld/Mobile Game. If in RollerCoaster Tycoon Touch, your mission is to build an amusement park, your mission in Fallout Shelter is far more important. In the apocalyptic world, your task is to build a bunker shelter (called Vault) for everyone to avoid the nuclear bomb. Now the joy is not important anymore, everything is left are life and death. After you build a Vault, people will gradually move to your base. Now, you are a boss, a manager. You need to guide and lead your residents to build and expand the shelter while looking for food, water, and electricity to sustain life. Radiation makes the mouse, cockroach, bugs huge. They will attack your base each day so you need to prepare weapons to protect your base. The rooms you can expand are available, so be a smart designer instead of building silly rooms. When your population starts getting crowded, problems start to appear if you build your base unreasonable. Remember, large rooms are easier to connect with other rooms than smaller rooms. However, building them takes time and consumes more resources. In addition, the construction of power plants and reactors is also important in keeping your base energy-efficient. In fact, we can not live underground without enough light and some kind of machinery. Rooms far from power plants require more energy, so you need to build power plants evenly to save on the energy you have. 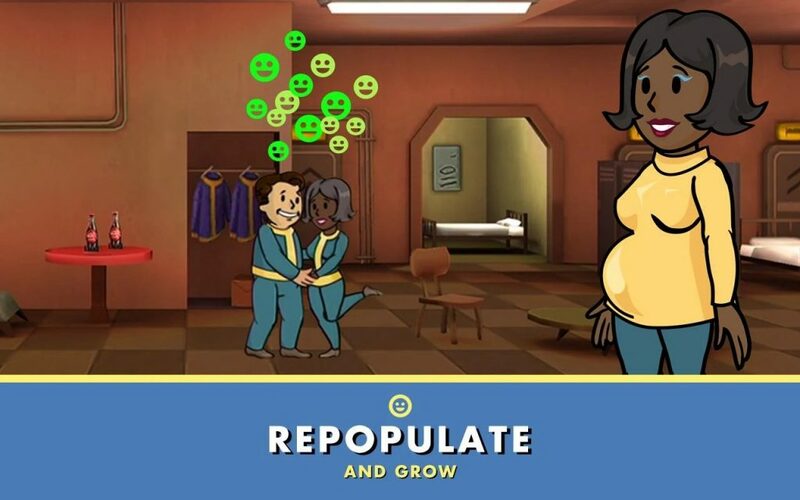 Not only attracting residents from outside, but your residents can also marry and spawn in your facility, helping to increase the number of residents. In addition to stocking enough food and water, you need to improve the happiness of your residents by giving them the right job they want, or organizing weddings for couples. Pregnant mothers have a 100% happiness index. As the population grows, do not forget to upgrade your facility. 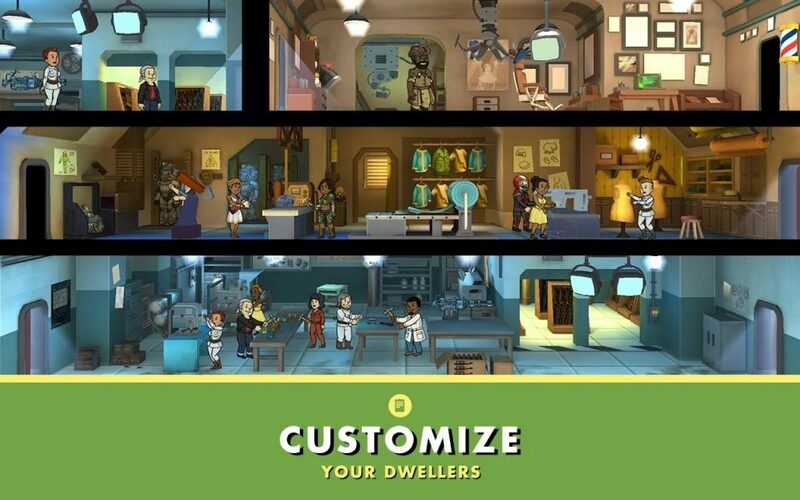 Fallout Shelter have two types of labs for you to choose from are Stimpacks and Radaway. The labs are responsible for producing medicines and useful articles in the lives of the residents. When your base is attacked by giant cockroaches, Stimpacks help you heal and Radaway helps you detoxify your residents. This feature is quite expensive, but it better than losing your resident forever. In a chaotic world, despite the danger, the outside world has a lot of important items and materials to upgrade your base. Let someone out, equip him with enough armor, weapons, Stimpacks, and Radaway and then he will bring you a lot of precious materials. Rush is a function that helps you speed up, immediately complete your operation instead of waiting for it. However, this feature is quite risky. If you succeed, everything goes well and no one is hurt. But if you fail, the room where you Rush will ignite, destroy many things and attract mice and cockroaches to attack. Not only a simulation game, but Fallout Shelter also has a vast universe, stories and lots of interesting things to explore. Games are available on Google Play and the App Store, allowing you to download for free. 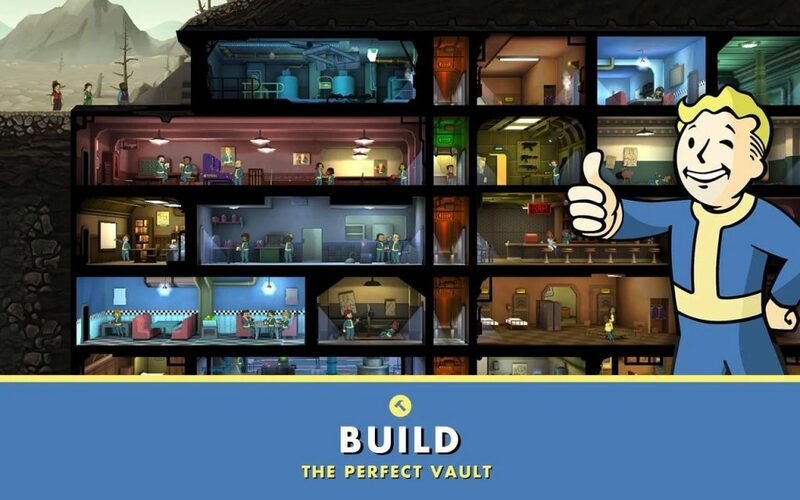 If you are ready to build your Vault, please download this game via the links below the article. 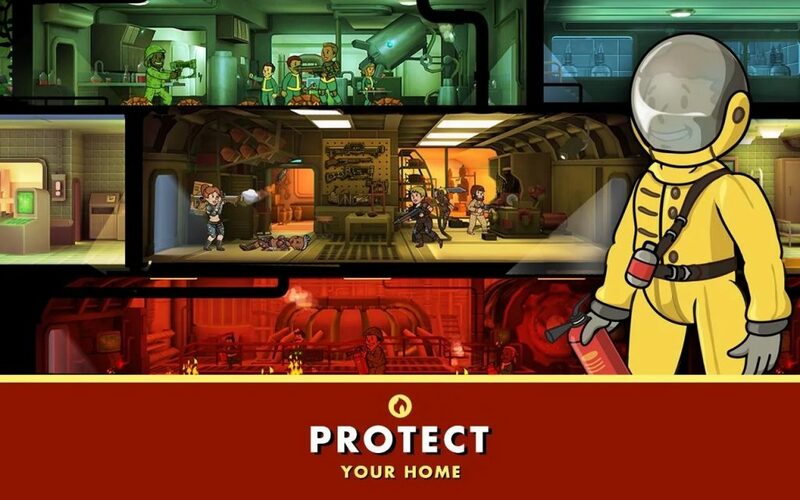 Fallout Shelter MOD APK is ready to download!